The Shell House is a new form of urban housing whose curved sedum roof form provides the aspirational ‘landscape’ vista desired by home-owners. The green roof provides a large north facing thermal mass to the house, which helps offset external changes in temperature. To the South is positioned the living space and the largest expanse of glazing to enhance winter solar gain. 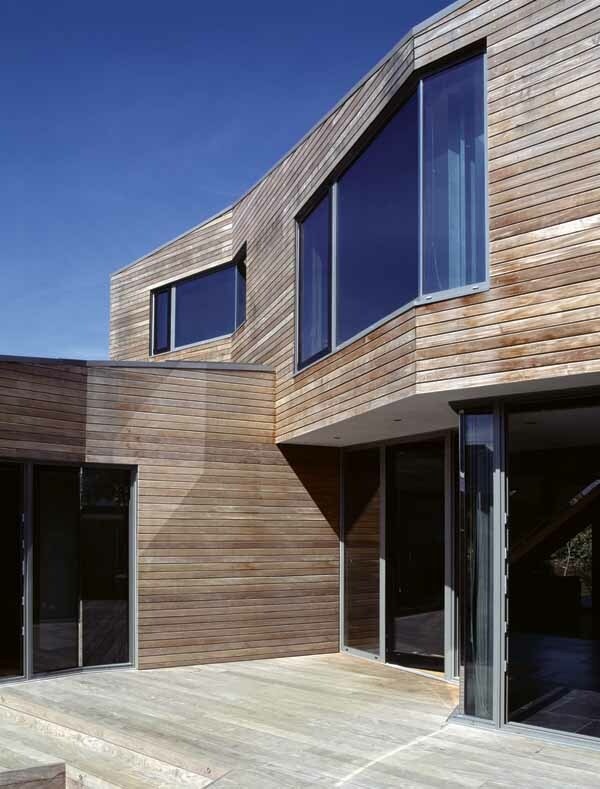 Solar panels and a ground source heat pump provide most of the Shell House’s energy requirements. Rainwater is collected and reused in toilet flushing and gardening thereby helping reduce water consumption. The Shell House is a simple construction of insulated blockwork cross walls with SIP panels spanning between them and covered in a sedum roof. This ‘shell’ provides the flexibility for the house to transform over the occupants whole lifetime to suit their requirements for additional bedrooms or even subdivision into flats. Underfloor heating is housed beneath a fully accessible floor which will also help to accommodate future changes in technology.